Finding good laptop deals is easy if you are willing to browse. Like any other specials you should be aware that you can get affordable quality goods, but you can also be duped into buying cheap goods that are really poor quality. So when you see a ‘for sale’ sign take heed of the fact that you still need to think about the type of computers and notebooks that are available. If you have access to the internet or live in an area where there are a number of computer stores you’ll find that there are sales fairly regularly. This is because the developments in computer technology happen so rapidly and regularly that stock rapidly becomes out dated. Despite this, it is perfectly acceptable to use an older model; it’s just the technophiles who need a constant source of new things. The trick to finding good laptop or tablet specials is to browse more than one store, and to look at the deals on gumtree. This sort of comparative browsing will help you to eliminate the false deals from the real ones and will help you to gauge which are the most affordable options. Cheap doesn’t always mean problematic, but it can be an indication that the computers and notebooks are not of the best standard. In most cases however, you get what you pay for. Gumtree is a source of information about people selling new and second-hand goods, and it can also point you to other technology stores that might have good deals. It is worthwhile having a look at the laptops that are on the market, just so that you have an idea of the features that you’d like in computers or notebooks. Then you can have a look for the type that you would like to buy, and can compare costs objectively. You’ll be able to get an idea of what an affordable model is and what an expensive option is. It just takes a little bit of effort to find good laptop deals. Finding special offers is very easy after Christmas time. The festive season brings with it hordes of people looking for gifts for their loved ones. This means that in most cases they are willing to pay slightly higher prices than they ordinarily would because the pressure is on to get the best gift. When this rush is over computer stores are keen to sell their stock in anticipation of the New Year’s stock. This means that many stores have excellent specials on computers, notebooks and laptops and greatly reduce their prices after the rush of the festive season. It becomes much easier to buy affordable equipment. This is true of shops in malls, stand alone and online stores. All compulsive shoppers know that the malls are crazy at this time of year. They are packed to the brim with bargain-hunters, noisy and weeping children and exhausted parents dreading the return to work. If you have any sense you will avoid this mayhem and take a seat in your most comfortable chair while you browse the deals online. From the comfort of your home you’ll be able to find the most affordable computers and notebooks and you can even purchase them online. The sale of goods on the internet is the next best thing to chocolate and using the Web to purchase goods is so easy. All you need is a credit card, a trustworthy internet connection and a postal address. Easy as that! If you’re interested in looking for laptops or tablets in South Africa have a look at stores like Incredible Connection, Macro, Game and the larger hypermarket stores. Here you should be able to find those festive deals and special offers. What About Second Hand Laptops? You can buy second hand laptops by using registered dealers. Unfortunately, because of the portability of laptops, there is a fairly big trade of illegal and stolen used notebooks and computers. The last thing you want to do is buy a laptop for a cheap price, and then have it repossessed by the police because it was stolen. In addition, it is always better to avoid the mysterious for sale signs on lamp posts and go through accredited dealers who can offer you Apple, Dell and Acer products with guarantees, and may even have refurbished notebooks in stock. Most speciality stores that stock computers will have a good range of used notebooks and laptops for sale. Many people simply trade in their old computers for newer models, which saves them money and allows you to purchase the refurbished computer you need at a cheap price. The great thing about buying from one of these stores is that you know that the computer is safe to use and has genuine Acer, Dell or Apple parts, and was not stolen. The downside of waiting to buy your computer from this type of store is that they often charge higher prices than individual sellers and people selling online. There are people out there who would genuinely like to sell their used notebooks and they are often prepared to accept a fairer price than a registered dealer. It is still worth asking to see the serial number of the laptop and taking it to your local police station if you are worried. Using the internet is a great place to get second hand laptops. South African laptop shops are easy to find and offer some amazing deals on laptops and notebooks. These functional, easy to transport computers are all the rage, and more than that they make life much easier. Gone are the days of buying a bulky personal computer that took up mountains of space. If you are looking for affordable notebooks then it’s not worth getting caught up in the mania of price hunting around. Simply stop by stores like Makro, Game, Incredible Connection and Hifi Corporation to have a look at their huge selection of products. You can also purchase all the accessories you need at these stores. Whether you want a computer for personal or business use, or both, South African laptop shops have great staff on hand who will be able to help you make the best decision. They will be able to steer you towards the most affordable notebooks, as well as the best software packages for your needs. Never be afraid to ask questions in these stores, as the staff who work in them normally have a great deal of knowledge about various products and might be able to help you make a better buying decision than you could on your own. Stores like Incredible connection can be found in most shopping malls whereas Makro, Game and Hifi Corporation are normally stand alone stores because of the wide range of products they sell. To save you time and petrol from driving around between stores, why not visit the websites of these great shops before hand and see if they have a product you could afford and would be interested in? Have a look at the following websites to check for some of the latest notebook and tablet deals in S.A.
It’s worth comparing prices before buying one to ensure that you get a laptop that you can afford. Notebooks and laptops vary in price substantially depending on the specifications, brand and type. Between Dell, Acer, HP and Apple there are so many types to choose from that you may want to spend the extra money and get something expensive. If that’s what you feel like you should do then perhaps it is acceptable, but because of the shortened lifespan of laptops, it is worth considering cost. Although you don’t want something cheap and nasty there is nothing wrong with going for a middle of the range PC. If you don’t think that it’s worth comparing laptop prices before buying then there is evidence that supports this idea that you can have a look at. When you buy a laptop, you are buying certain qualities that you will need for your work or home life. These qualities can be found in a number of different brands whether you want an Apple, HP, Acer or Dell computer. So basically, you can get the same thing, in a different style laptop. So when you are looking you should be sensible about what you can afford and often you need a few days to realistically assess that the cost of one is highly inflated when compared to the others. To find comparative prices for laptops or tablets it is worth having a look online. 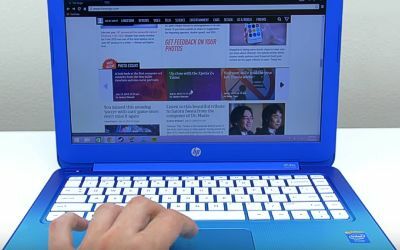 Often big brands like HP, Acer, Dell and Apple advertise their specials online which means that you can get expensive laptops for a cheap price online. The best people to speak to are trained computer sales people because they will be able to explain what the differences in price mean for you and whether it is something you can afford. Incredible Connection is one of the leading computer companies in the country which frequently has great deals and promotions to keep the customers happy. The prices you will find on an average day tend to be quite expensive for some, but when they advertise a sale you better bet your bottom dollar that they mean it. The reduction in the cost of goods is phenomenal. If you live in South Africa and want to know more about how to find specials at incredible connection then the easiest thing to do is head down to your local branch. The floor staff members are trained in providing advice on the latest computers and laptops and their accessories. Software and hardware are also on offer as is a great selection of audio-visual technology. There is literally something for the whole family on offer. If you haven’t seen the deals that are advertised in the newspapers or on television, then ask someone on the shop floor to help you. They will be able to advise you on the prices as well as the best value for money products.